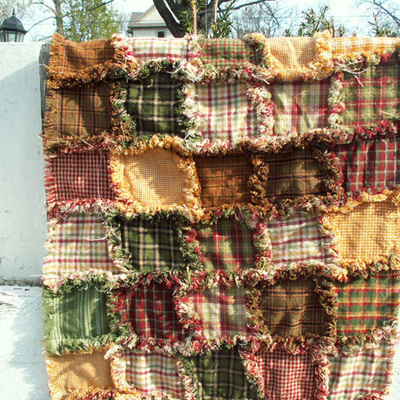 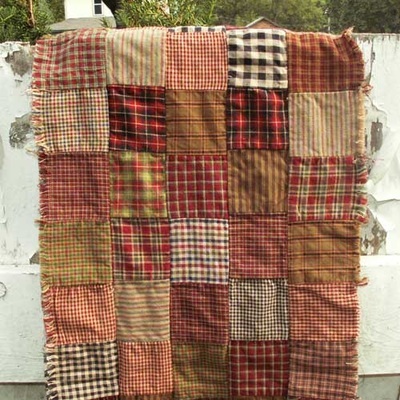 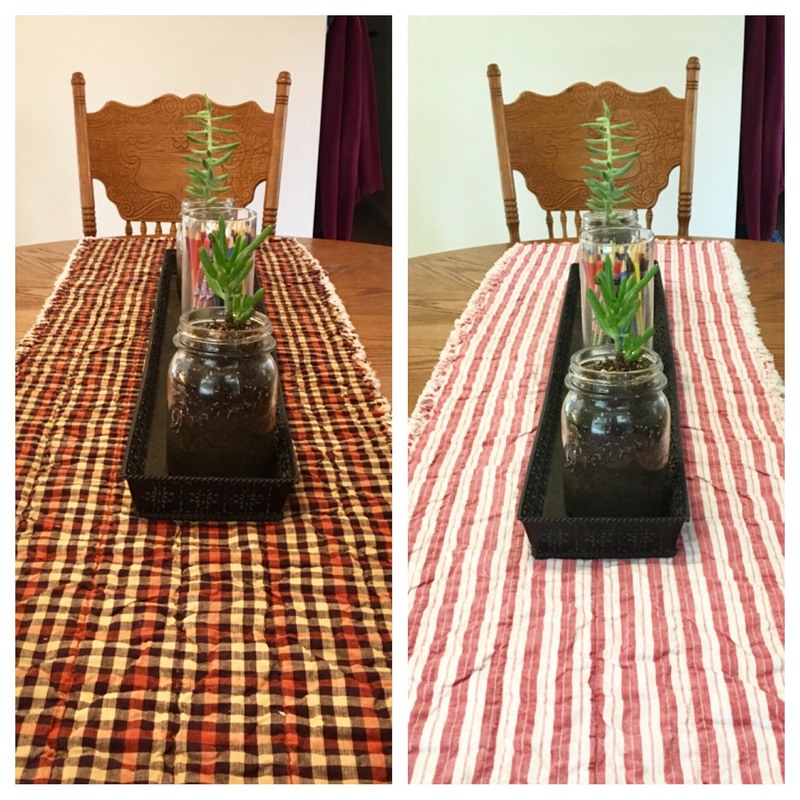 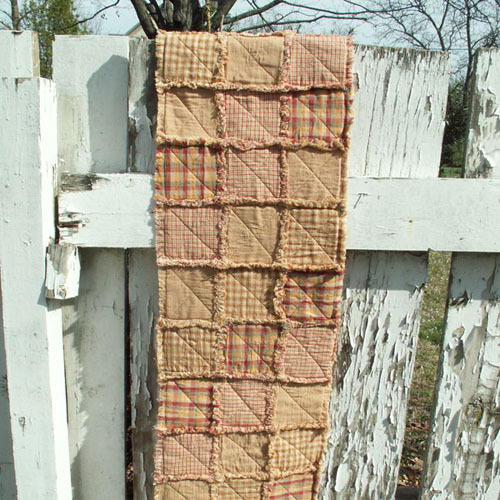 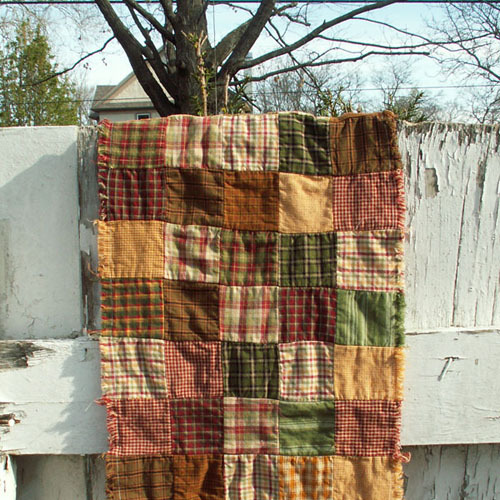 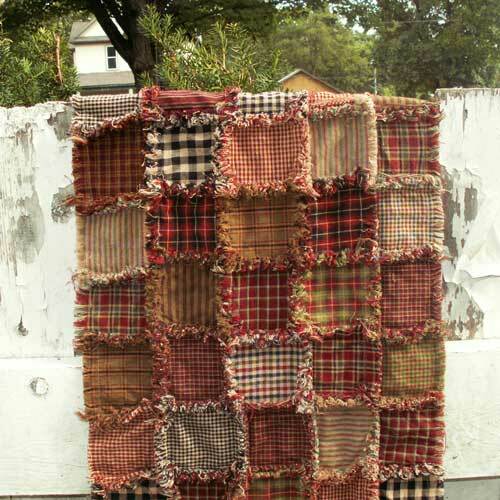 A ragged style homespun table runner is a quick, easy project that will bring new color and style to your dining room without a lot of effort. 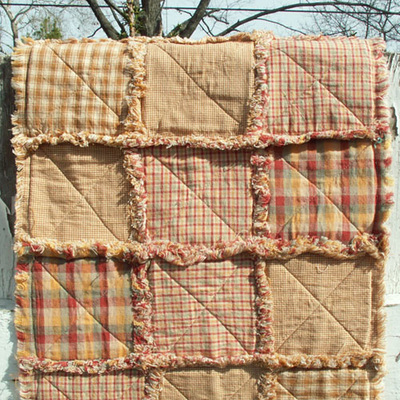 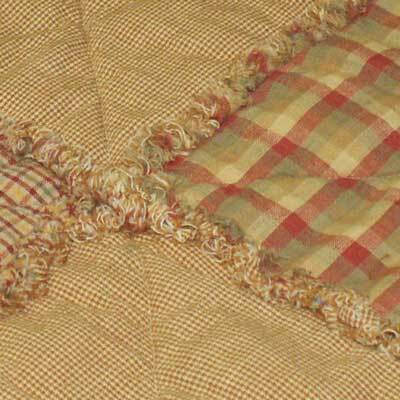 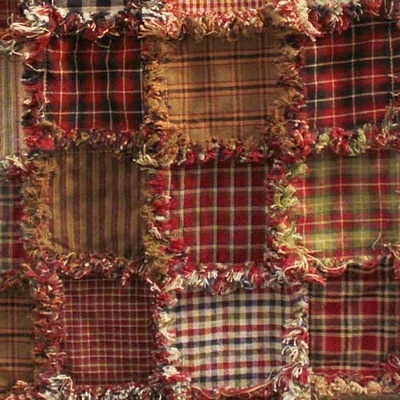 The ragged and quilted patchwork table runners shown here were made very similar to the homespun placemat demonstrated on the projects page. 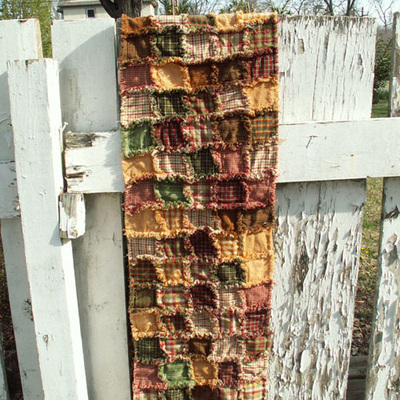 Table runners can also be made reversible so that you can change them with the seasons! The example shown below is not made with squares of homespun fabric but rather with one long piece of Fall-ish homespun and one long piece of Christmas-y homespun with a layer of solid white Osnaburg fabric in the middle to keep the two fabrics separate.